Sales, sales, sales — as a small business or website owner, you’ve got them in your sights. When $$$ is involved, you want your customers’ purchasing experience on your site to be as seamless and positive as possible — which includes, at its most essential, the checkout experience. It’s a given that you’ve invested the time to build a beautiful website and purchase quality web hosting. But have you really thought through your checkout process? If it is simple and streamlined (not to mention, secure), you’ll be inviting customers to, well, show you the money. So what’s the key to a positive purchase experience? A solid payment gateway, a third-party application that provides an easy-to-use tool for processing payments from sales. Let’s discuss: what exactly is a payment gateway? How does it work? How should you go about choosing one that’s best for your site? What options are out there? We’ll answer all those Qs (and more), so pull up a chair. Your bottom line depends on it! Ninety-six percent of Americans shop online (with a staggering 224 million digital shoppers in the U.S. predicted by 2019), so like you, they’re familiar with the basic steps of the e-commerce shopping experience. It is second-nature, like signing your name or tying your shoes: browse, pick a product, add to cart, hit the checkout. But what happens between your customers entering their credit card numbers and you getting paid? How do purchases get processed? Well, for that, you can credit (see what we did there?) payment gateways. A checkout demo from 2Checkout. These gateways act as in-between services, processing inputted information provided during checkout and facilitating the authorization or fulfillment of payments made for e-businesses and online retailers. They’re used in brick-and-mortar establishments, too. So why use a payment gateway? Well, for starters, they take charge of purchasing’s tricky tasks: encrypting (i.e. securing) sensitive info — like credit card numbers — and helping you meet certain standards for data security online, ensuring safe transactions between you and your customer. Plus, gateways save you time and work, removing the need for you to manually input info received on your end. They also offer flexibility in the types of payments customers can use. And flexibility is good — it increases the likelihood of sales by widening accessibility for customers with a variety of different payment types. True fact: customers are likely to abandon their carts due to lack of payment options. It’s a no-brainer, but people are not going to just fork over sensitive financial information to sites that look shady. You want a payment gateway that’s reputable and provides safe checkout experiences for your customers. And note: displaying security signage is powerful — more than 80 percent of consumers feel safer seeing logos of trustworthy payment options on a website. Above all, only use a payment gateway that handles your customers’ delicate data with care. If you do, they’re more likely to stick around. Build a WordPress fortress with these helpful security hacks. Like with almost any service, there are fees associated using third-party tools like payment gateways. For transactions processed on behalf of your business, you’ll have to pay fees — so pay attention to your gateway’s costs and do your research before integrating it into your site so you’re not slammed with surprise fees. These fees charged can include transaction, statement, chargeback, merchant account fees, and likely more — such as fees to customers for using a certain payment method. And not surprisingly, customers do NOT like hidden costs so read the fine print. The reality is, the easier you make it for customers to make purchases, the more they’re likely to make. By outfitting your site with a payment gateway that incorporates a wide variety of payment methods, your widening your sales net — 50 percent of regular online shoppers say they’d jump ship on a purchase if they couldn’t use their preferred payment method. Using your site’s analytics, observe what countries have shoppers visiting your site — preferred payment methods may differ by country. Plus, it’s also a matter of security: 40 percent of study participants said they would feel more comfortable shopping from a business that offers multiple payment methods. Chew on that. Of course, an important consideration is how well your gateway will integrate with your current platform — both from a technical and design standpoint. If it takes an over-abundance of messy tricks to incorporate smoothly into your existing structure, you might want to rethink your choice. And while many gateways (like Stripe, for example) can be customized to match your site’s feel, you want to make sure your gateway tool is compatible with your brand. Don’t make your customers’ purchasing experiences jarring with mismatched elements. A well-designed website is an investment with striking returns. Let’s get visual! Some payment gateways allow customers to complete a transaction within the checkout processes of the website, while others lead users to another site to finish their purchases. Some gateways provide an API that incorporates directly into your site, others reroute visitors to third-party sites. Whatever you choose, consider what will provide the best user experience for your shoppers — if customers trust your site, they might not mind the extra diversion. Now to your big decision: choosing a payment gateway for your small biz. It’s a little scary: 46 percent of cart abandonments occur at the payment stage of checkout; if yours isn’t outfitted with a smart payment gateway, you could be looking at lost sales. Don’t fret: we’ve compiled ten of the best gateways — and outlined all the key features — for you to browse. Tag team with the e-commerce giant to provide your customers a trusted and familiar way to submit payments on your site. Eliminate the learning curve for checkout processes and draw from the technical strength of an established platform. In 2016, Amazon reported that there are 310 million active customer accounts; by allowing customers to use their current Amazon login information, Amazon Payments gives shoppers a simple, familiar way to make purchases. Integration with your website is API driven, meaning it’s easy to customize Amazon Payments into the existing look and feel of your site. Often, it is as easy as adding a free plugin. Plus, transactions are completed on your site. Amazon Payments is a leader in responsiveness. It’s available across devices — and mobile capability is critical for users; in the last six months, 62 percent of smartphone users have made a purchase online using their mobile device. WePay is a platform payments company that prides itself on conforming to the unique needs of your site or e-biz — and is free to set up. Got shoppers with unique requests? WePay is equipped to handle complex payment requests, like multiple payers or crowdfunding campaigns, and works for sites of different sizes. Tailored for e-shops with international customers, as well as domestic, WePay offers a helpful support center for businesses using the gateway. Hello, future! WePay offers modern payment options, like Apple Pay and Android Pay. Well, you should easily recognize PayPal, which has e-commerce veteran status and is one of the most widely accepted digital payment methods for North American retailers. PayPal has proven success: the gateway boasts up to 44 percent higher checkout conversion for businesses who use it. What’s more, they offer fraud protection, live support, and extensive cart compatibility — it works with all major shopping carts and e-commerce platforms. Scales to your business, whether you’re a high-traffic hot shot or growing local biz. Plus, they offer multiple versions of their payment solutions, like PayPal Payments Pro, PayPal Express Checkout, and Braintree. 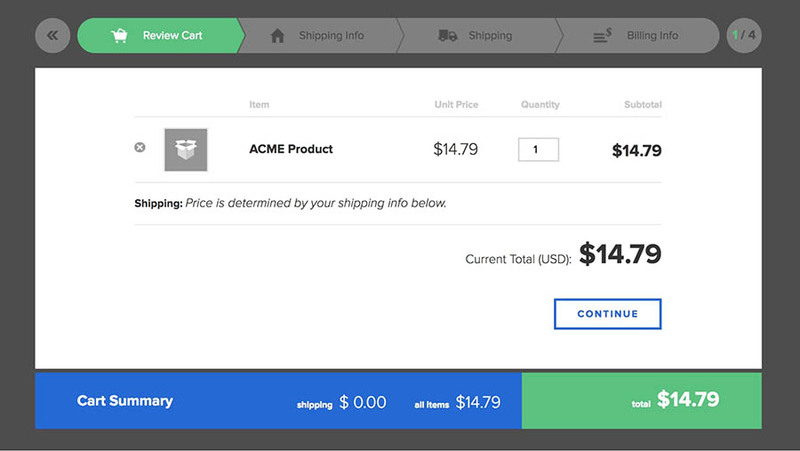 In as little as 15 minutes, you add a simple PayPal button on your site. With that extra time, you can focus on making more sales (or taking a much-needed break). The downside? Customers have to leave your site to pay (upgrade to Pro for an in-site checkout — $30 monthly fee). Designed for small-to-medium-sized businesses, the payment service at Authorize.net can help you grow your business with a host of flexible and trusted payment options. Aside from an extensive list of acceptable payment options — including checks and mobile payments — the service caters to businesses’ unique sales needs, like recurring or subscription billing. Provides customers a positive — and secure — shopping experience with a verified safety label from the site, in-site ordering, simplified PCI compliance, and custom checkout pages. Plus, they have an Advanced Fraud Detection Suite, a free safety service. Score! Got a question? Or three? Authorize.net offers exhaustive support resources, including an online portal, toll-free phone support, online chat, eTicket response system, and email contact. 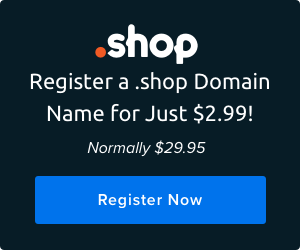 With customizable options for both freshman and senior businesses, 2Checkout’s services include heavily customizable hosted (in-site) checkouts and simple site integration, leaving your checkout experience seamlessly on brand. Don’t leave the user experience up to chance. Whether you’ve chosen the standard or in-line setups, 2Checkout allows you to demo the customer’s buying experience with different settings to get a feel for how the gateway works before using it. Set your business up to be a global moneymaker with 15 different language and 87 currency options. More global reach = more growth. Provides an easy-to-incorporate payment API so payment processing can be embedded directly on your site. Accessible documentation resources make customization onto your site simple and easy. Consider it the Tesla of payment gateways. Meet the newest disruptor in payment gateway technology: money-mover tool Dwolla. As a bank transfer solution, merchants within Dwolla can accept bank payments simply — with additional e-business-minded features like shopping cart plugins and website integration. It is already used by investment company Wunder and sneaker-selling app Goat. Dwolla is simple and strips typical fees from gateway infrastructures — and the service offers same-day and next-day transactions for ACH payments. So if you’re all for the latest in bank verification and transfer options, look no further. With simple API integration that reliably scales to your needs and provides a positive user experience, you can track your app activity, search transaction information, manage customers, and view key business insights within your dashboard. Key information and functionality in just a few simple clicks. Dwolla says security is “their DNA.” So rather than trusting sensitive data to just any ol’ gateway, entrust your payment processing needs to a platform that values security through rigorous monitoring, strong cryptography, and constant refining. Tailored exclusively for e-commerce, Stripe provides extensive functionality regardless of what your business sells and has a resume loaded with high-level customers like Pinterest, Lyft, Slack, and OpenTable. Stripe features the best applications of modern-day e-commerce payment solutions: secure, customizable, quick, and easy-to-setup. Plus, the extras will win you over, like allowing customers to buy products directly from a tweet or saving card information for one-click checkouts. Stripe’s Sigma service allows businesses to easily view sales data and analytics in real time, providing insight that can help you refine and improve operations for increased effectiveness and growth. E-businesses need to think global: international retail e-commerce sales are slated to reach $4.5 trillion by 2021. One more time for those in the back? $4.5 trillion! With more customers across borders, your business needs to think about new payment types. Luckily, Stripe leaps beyond traditional payment types, offering businesses the ability to accept alternative — but increasingly more common — forms, like Alipay, ACH, and Bitcoin. Get your cha-ching! from any country. Worldpay is a comprehensive, UK-based (but global) service that offers omnichannel payment solutions for businesses of all sizes. Plus, you can pay as you go or choose a monthly payment option. As a new business, you’ve got a lot of things on your plate: meetings, marketing, minutiae. Worldpay offers didn’t-know-you-needed-that payment services, including automated billing and card updates, customizable loyalty cards, card-on-file support, and simplified backend settlement. Ideally, your business isn’t going to stay the same. With growth, Worldpay focuses on the future of your venture by offering expert advice and insight with support and personalized reporting of your individual business. Plus, they’ve outfitted their site with helpful content. Never agonize over lost customers who abandoned a sale for fault of their personal payment type. As its name suggests, Worldpay is comprehensive (think: ‘and,’ not ‘either/or’ features) and accepts the full gamut of payment options — more than 300 ways to pay — like all major cards and mobile wallet methods. 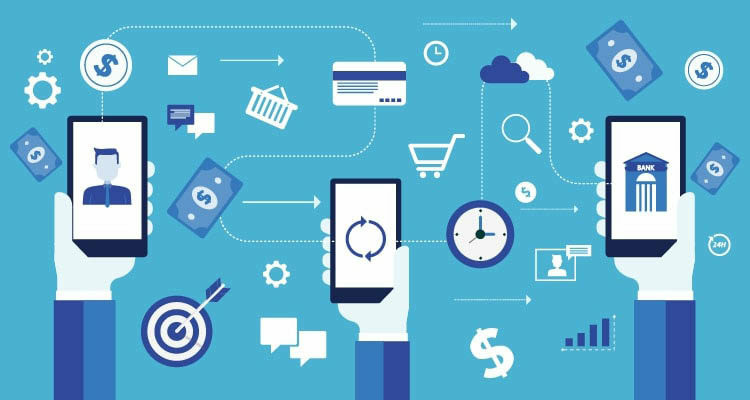 Merchant e-Solutions is a unified platform that provides a no-fuss solution for online, mobile, or brick-and-mortar payment solutions. Not all shoppers are the same. Not the ones in neighbor countries or the ones at neighbor tables at Starbucks. Merchant e-Solutions allows businesses to create customized payment experiences by region, country, language, business, or sales channel, making it easy to provide a winning checkout experience to your shoppers — wherever they e-shop. Overwhelmed with the thought of getting started with a payment gateway? You’re not alone. Luckily, the site provides a personal consultation at your setup to help you get things started and receive the lowest possible interchange rates (a customer service thumbs up!) Plus, they’ve got 24-7 support should have those middle-of-the-night burning business Qs. You don’t need a computer science degree to integrate Merchant E-Solutions with your site. Customize the site’s API quickly and easily (in whatever your programming language) in their new Developer Suite, which offers sample code. Easy as raspberry pi! “Keep it simple, stupid” applies to many things — payment gateways included. Simplify Commerce, a MasterCard entity, aims to make it easy for your business to receive payments. With online, in-app, and in-person options, you can get your business’s e-commerce tasks up and running easily and outfitted to your unique specifications. If customers are going to hand over their hard-earned dough, they want it to be on their terms. Meaning, your gateway has to be flexible to meet the needs of varying types of shoppers. Whether your customers want to pay via MasterPass, Android or Apple Pay, or are making a quick item purchase on their way to work, Simply Commerce provides can make it happen (and in turn, make your customers happy). For you coders, Simply Commerce is developer-friendly. Integration is easy to incorporate in a host of programming languages (Ruby, PHP, Python, and Java, to name a few) and software developments kits are also accessible for iOS and Android use. On their site, you can also view sample code and access engineering support. Simply Commerce is secured by a name you recognize — MasterCard — so it’s easy to trust that they’ll protect your transactions. And as one a critical factor in the success of e-commerce ventures, you’ll want reliable safety for your shop. Now that you’ve seen a host of options, you need to compare. Want to see the gateways side-by-side or analyze other potential drawbacks? Wish granted! Ready to watch the $$$ roll in? Simply put, good shopping experiences make for good sales — and more of ‘em. By choosing the proper payment gateway for your site, you enhance user experience in your e-shop and invite customers to make purchases. Whether you’re focused on global sales, giving customers an on-brand checkout experience, or boasting your high-quality security standards, there’s a payment gateway suited to your business. Which one has worked best for you? What features of a payment gateway are essential to your operations? Let us know.